Founded and directed by STUDIO Fellow Rich Pell, the Center for PostNatural History (CPNH) is a museum of genetically engineered lifeforms. Dedicated to the advancement of knowledge relating to the complex interplay between culture, nature and biotechnology, the CPNH is concerned with the ‘postnatural’ ways in which the DNA of living organisms has been altered (through processes such as selective breeding or genetic engineering) to meet human desires. 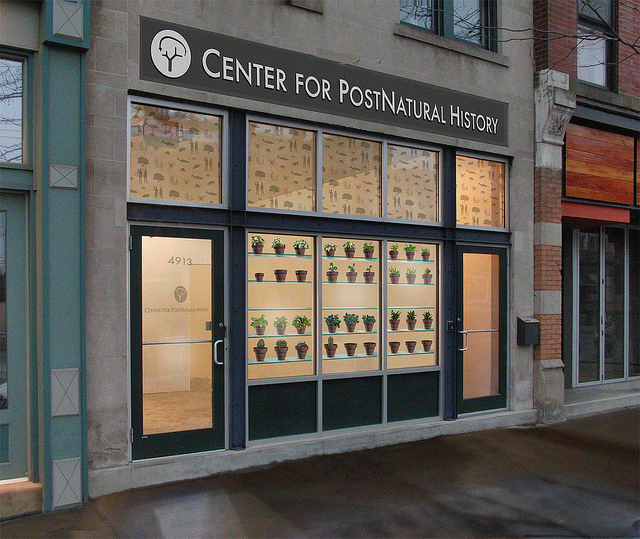 The mission of the Center for PostNatural History is to acquire, interpret and provide access to a collection of living, preserved and documented organisms of postnatuwral origin. The CPNH is made possible in part by the generous funding from the following contributors: The Creative Capital Foundation, Media Arts Fellowships (funded by the Rockefeller Foundation through the Tribeca Film Institute), New York State Council on the Arts and the Schenectady Museum.